In 1979 the microcomputer already was a reality in many companies and for some few hobbyst, with equipment as the TRS-80, the Apple II, the Commodore PET, between others. However, the microcomputer still did not be a popular product, mainly due to its high cost and complexity. 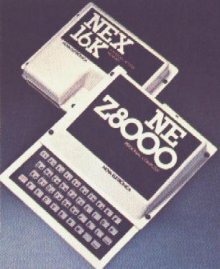 The ZX80 had only 1 Kb of RAM and 4 Kb of ROM, a Basic that operated uniquely with integer numbers and exhibited only static images on screen. It was traded in kit (£79.95) and mounted (£99.95), and even without present any technological innovation for the epoch, became quick a success of sales due to the extremely accessible price. With the success of the ZX80, The Sinclair is encouraged to build a new microcomputer, the ZX81. In fact, the work of development have begun already in September of 1979, before of the launching of the ZX80, and consisted of the development of the "Uncommitted Logic Array", or ULA, that would go permit the production of the new microcomputer. The ULA, produced by Ferranti for the Sinclair, permitted the reduction of the number of chips (for just 4) and of the price of sale from the machine, that was traded by £49.95, in kit, and by £69.95, mounted. The answer of the market was phenomenal and in just three months the ZX81 sold 50 thousand units, the even that the ZX80 have sold in a year, conquering not only the England and the Europe but also the own sanctuary from the world computing: the United States. The Sinclair came to produce 40 thousand units by month, even so, without obtain attend all the demand by the product. Two years after their launching, already had been sold more of 1 million of ZX81. The loud success of the ZX81 virtually created in the England an new domestic computers market, up to that time nonexistent. Many concurrent companies arose in the wave of the success of the Sinclair computers, for take advantage of the growing enthusiasm of the public by the domestic computers. Many did not obtain the return expected, but some, as Acorn (created by ex-staffs from the Sinclair), survived and they prospered. 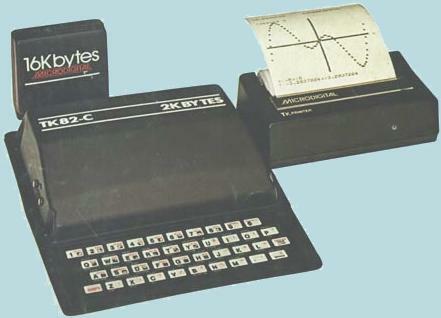 In the United States, the Sinclair computers were manufactured by Timex, under license from Sinclair, with two ZX81 compatible models: the Timex Sinclair 1000 and the Timex Sinclair 1500. In the remainder of the world, the ZX81 was copied widely by diverse companies in many countries without that went pay an unique cent to the Sinclair. In that epoch existed in Brazil the "Computing Market Restriction", create by Military Government, that stopped foreigners companies of trade his computers in the country. Due to that, the Sinclair did not obtain enter in the Brazilian market and five Brasilian companies, taking advantage of the stupid restriction, threw clones of the ZX80/81: Microdigital (TK80/TK82, TK82-C, TK 83 e TK85), Prológica (NE-Z80, NEZ-8000, e CP-200) , CDSE (Apply300), Engebras (AS-1000) e Ritas do Brasil (Ringo). 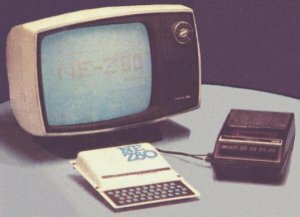 The first will be thrown were, respectively, the NE-Z80 and the TK 80/TK82, in 1981. Virtual replicas of the ZX80 in hardware and software, those equipment had short life, therefore soon they were replaced by the NE-Z8000 and TK82-C. These two still were based in the ZX80, but adapted for use the ROM of 8kb of the ZX81. Beyond that, the TK82-C also incorporated the circuit generator of NMI, responsible by the generation from the image during the SLOW. In the end of 1982 and beginning of 1983 were thrown the CP200 and the TK85, respectively, having how more outstanding characteristics the best presentation regarding the previous. 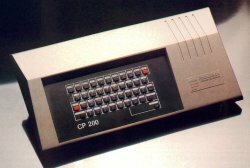 The CP200 was presented in a strong cabinet, with keyboard of kind calculator and internal power source. Subsequently, the Prológica reformulate the CP200 and create the CP200S, with a new cabinet, colorful and bigger keys, external PSU and an video out for computer monitors. The TK85 had the cabinet clearly "inspired" in the ZX Spectrum and had as main differential the addition of more 2 Kb to the ROM, containing the routines for tape access and data manipulation in HISPEED , somewhat inedited in the ZX81 line in all the world. Its keyboard of rubber was an advance regarding the keyboard of membrane of the TK82-C, but nevertheless presented an inconvenient: if did not go pressured exactly in the center, the keys fasten below, obliging the user to pop up it back for the normal position, what finished compromising the speed from the typewriting. 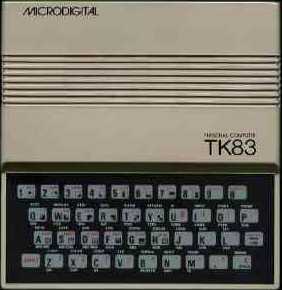 The TK83, thrown in October of 1983, came replace the TK82-C and went the first model to incorporate the ULA equivalent chip, beyond suffer a considerable improvement in the design, stayed with dimensions well near to the original ZX81. The Apply300, the AS-1000 and the Ringo were thrown nearly in the same epoch, in middle part of 1983, following a new tendency of the Brazilian market of small equipment, that consisted of offer cheap products compatibles with the Sinclair BASIC, but that present possibilities of expansion capable of provide a performance before possible only in expensive systems. Like this, those micros presented a considerable improvement in the keyboards, serial interfaces already incorporated (AS-1000 and Apply300), SpeedFile up to 1Mb and capacity of manipulate four K7 recorders for data manipulation (AS-1000), cartridges Instant Soft and of high-resolution (Ringo), between others. As is able to see, the ZX81 line went very well represented in Brazil being responsible by the initiation of thousands of persons in the computers world. Despite of the ZX81 be an basic equipment and considerate for many as having fews resorts, with a little of creativity and with the use of some of the several peripherals that were developed for it, did not leave do nothing to desire to big computers, to a cost considerable lower. Definitely, the ZX81 deserves an own chapter in the History of the Computer and cannot be ignored or looked down upon when remembers of that epoch.